If you are anything like me, maybe you feel that your “space” meaning the area your students see behind you is a reflection of who you are or at least, what kind of teacher you may be? We will start with children. As you guys know, Skyeng has seriously tapped into the kids market and I am super excited about that. I hope you are too! Some teachers who have been teaching adults for many years feel somewhat intimidated. Guess what, your new little kiddo probably feels the same way! How does this relate to backgrounds? Backgrounds are so important when engaging with your student. It makes them feel at ease and also creates a feeling of confidence in them. It’s advised to place yourself in the child’s shoes and think about what you would like to see in an online classroom setting. Do you like plain walls? A cold dark looking room? An uninviting room? I can bet you that no child is going to feel comfortable. 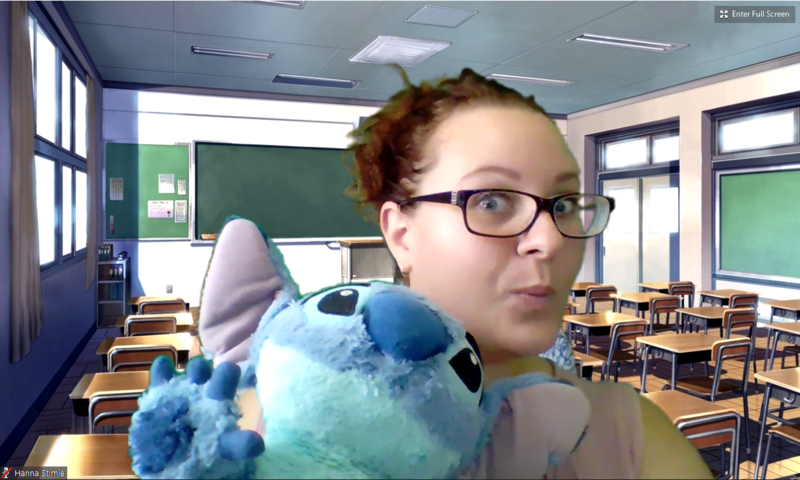 You have to make your classroom come alive and that can be a difficult task to achieve while teaching online. What are the age groups of the children? What are popular topics or items that come up during discussions? What level are most of the children? ABC’s? Beginner? Once you have a clear understanding of the children’s demographic, you can plan your background. If your students are complete beginners, you can have posters on the wall behind you with the alphabet on. This is also a useful tool to have available when teaching the alphabet. We call these, functional/educational backgrounds. Your backgrounds then become interactive and then draw the child into your room. This makes your lesson seem like it is taking place in a real private classroom setting. Change it up! Are the students making steady progress? Change up your background. It is a great idea to invest in a couple of posters that you can exchange throughout your lessons. Another one of my favorites are the 5 senses posters. But Hanna, is it all just about posters? Make your space functional. Do you have a shelf or desk behind you? Use it! Incorporate it into your space. In my teaching area, I have 2 posters, 1 for the 5 sense and 1 for the core colors. I point to them when teaching its vocabulary. BUT I also have a set of drawers. I use the surface of the drawers to pack popular toys out on. It can be toys, books, realia such as plastic fruits and vegetables. A multicolored ball. A reward system. Whatever you may use during your classes can become part of your background. Even better if it’s multifunctional. But guess what, you are not only limited to physical things as your background. Technology is an amazing thing and sometimes I LOVE to use a green screen and virtual backgrounds. How would that be beneficial? Well, what is the topic today? Is the student going on holiday soon? I’ll use a background of a beach or the city they will be visiting. We point out things in the background and interact with it. Sometimes I use a backdrop of a real classroom and I teach standing up. (p.s much better for your health) and the kids love that. I once had books hidden on my desk, and my backdrop was a giant fun looking bookcase. The student asked if I could take a book out of the bookcase. I sneakily pretended to take out a book ( it was actually the book on my desk which I was hiding). The kid was amazed and thought it was magic. Not only was that an awesome first lesson together, we really connected and could engage in a wonderful yet informative discussion. You could even have some stuffed toys hanging behind you! Now, this is where it can get tricky especially if you are teaching adults AND children. If you have a physical backdrop with posters and toys, it can be difficult to navigate between different backdrops. A childlike background can be somewhat distracting to an adult and can result in the wrong impression of the teacher. If you are able to and have space, I recommend using a green screen and a digital background if you teach adults and children. This will make the transitioning extremely smooth. All it takes is a click of a button. 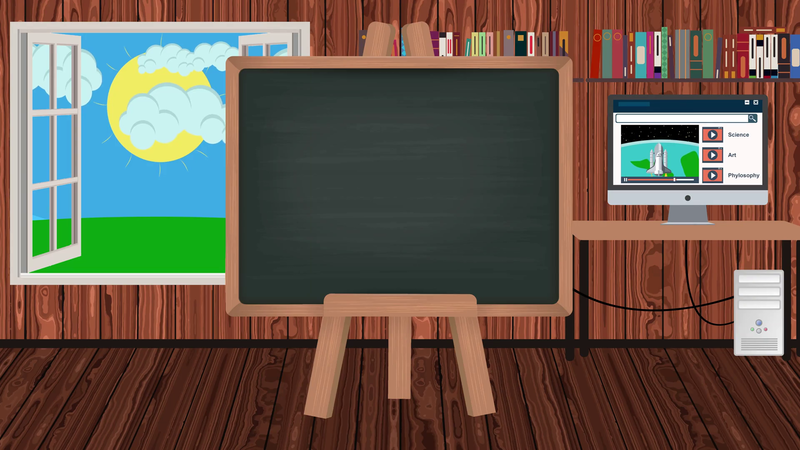 If you are teaching adults only, you can make a very beautiful yet professional background and again incorporate furniture and other physical elements. You can have either a plain background, a solid colour. This will ensure there is 0 distraction and your clients’ eye are on you only. OR you could add some of your personality to it, you can use a mild patterned wallpaper, a beautiful wooden room divider. You can even have a beautiful piece of furniture with fresh flowers. Fake ones work great too by the way! Keeping it basic, simple yet elegant will create a fantastic professional atmosphere and don’t be scared to add a little “you”! Here are a few examples of my favorite backgrounds/backdrops. I use :Canva to create giant printable posters. Professional printers can usually print these on paper or a printable canvass which you can roll up and even travel with. These posters can be hung up behind me and I am able to swop them easily. You could have a poster behind you with the Skyeng logo for adults and a second poster for children which are simple and not too distracting. The options and ideas are unlimited. Embrace it and have fun with it! 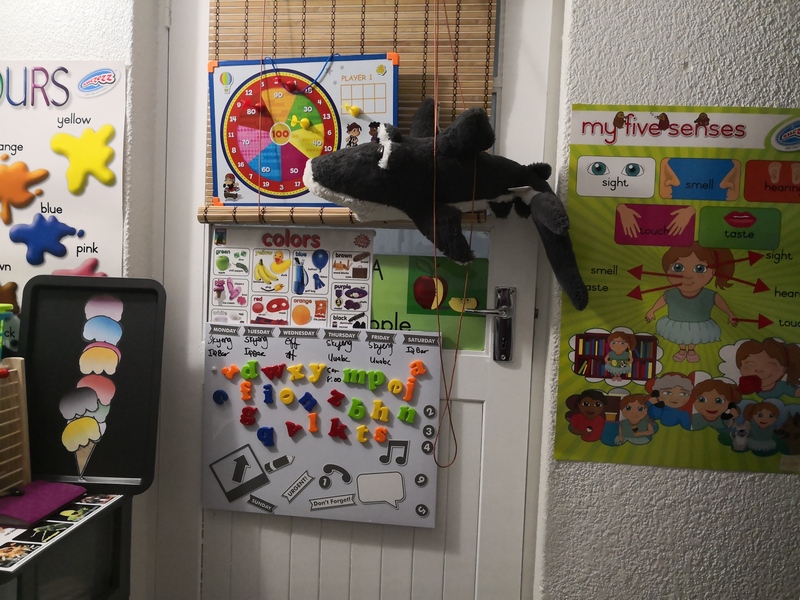 Physical Background consists of actual classroom posters, realia, and toys. Virtual Background (greenscreen) which you will electronically alternate. You can also use Manycam with your background and eliminate props completely. Backgrounds for adults can be a beautiful and non-distracting physical background or a virtual one. Canvas printed posters which are interchangeable which you have designed yourself. The teacher appears more professional and students appreciate that time and effort was put into an appropriate backdrop. The teacher appears as a real classroom teacher who takes education extremely seriously. The student will have a clear understanding that this is study time. For children, appropriate backgrounds create a sense of fun, bringing out sensory visuals by using bright colors, interesting images leads to the children feeling more comfortable. Some backgrounds which are basic can serve a clear purpose. These types of backgrounds can help as a reminder during a lesson for the student, such as colors, shapes, animals or even grammar. Teachers can use their backgrounds to help with TPR or creativity whilst doing a lesson. If your backdrop has your company logo, it looks professional proves the teacher follows policies and guidelines. Some backgrounds are only suited for young learners. A teenager or older student could feel uninterested when seeing pictures of the alphabet. If you do not have an adjustable background and use a background for young learners while teaching adults, this can lower their expectation of your abilities or even make them feel like you are not capable of teaching their level. A too busy background can be extremely distracting to the student. All focus must at all times be on the teacher. Not all backgrounds relate to all students. All people have different tastes. Need more information on digital backgrounds? Check this guy out: digino.org and this chick: Kat Teacher Many Cam Tips & Tricks. She is brilliant at Manycam and how to incorporate it for props and backdrops.